Jobu reviews the Giants’ Week 2 loss to Peyton Manning and the Denver Broncos. I think this one’s going to be very brief. Lot’s of bad things happened for the G-Men in this game. They again looked sloppy, turned the ball over too many times and struggled to get anything done on the ground. All of that resulted in a 41-23 thumping at the hands of Peyton and the Broncos. 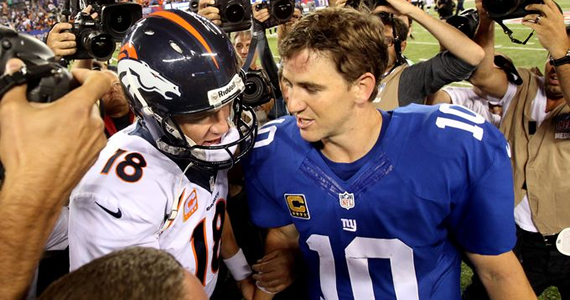 I know the big hype leading into this game was the fact that Eli Manning and his brother Peyton Manning were squaring off for the third time, but the only Manning Eli seemed to be fighting against in this game was himself. It didn’t help that the Giants got nothing done on the ground and he was forced to throw a ton, but Eli was sloppy again. For years, the Giants have struggled to get in the End Zone, and that didn’t change in this game. They settled for three early Field Goals. If even one of those had been a TD, this game might have been different. Also, throwing 4 interceptions certainly doesn’t help. 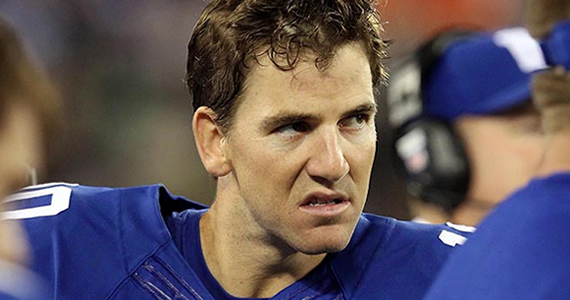 Eli now has 7 INTs on the year, which puts him on pace to throw 56 on the year. That would break the record by 14. I really struggled to come up with a clever headline to express my feelings about the Giants defense this so far this season, but not as much as the Giants have struggled to keep their opponents out of the End Zone. The Giants have now allowed 77 points in two games, which is completely inexcusable. 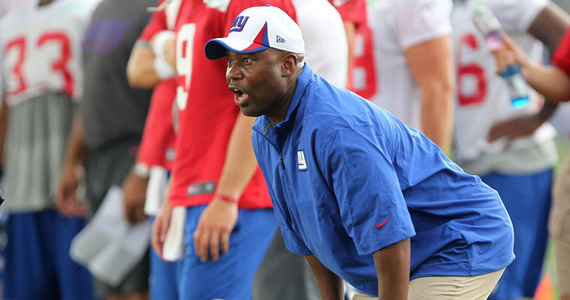 This might have to finally be the year they can Defensive Coordinator Perry Fewell. Usually it’s the pass defense that leaves Giants fans shaking their heads in disgust, but the entire defense was to blame here, even the Special Teams. Knowshon Moreno ran for TDs of 20 and 25 yards, and the G-Men even allowed Trindon Holliday to take a punt to the house. When the offense is struggling to put significant points on the board, you can’t have those mistakes. I mean seriously. Knowshon Moreno! The one positive note to take away from this is the play of Terrell Thomas. 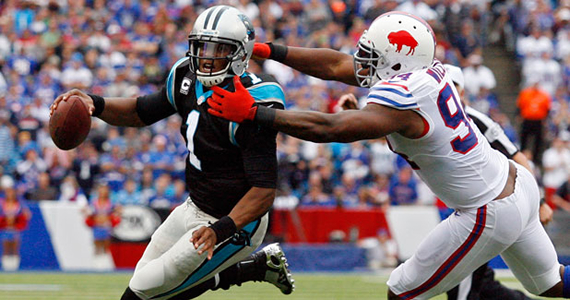 Thomas has thrice torn his ACL, including the last two off-seasons. The fact that he’s even on the field is a minor miracle, but the former USC Trojan actually played very well last night. Despite getting shaken up on a block early on in the contest, he was all over the field working hard, and that was great to see. Welcome back, Terrell. If Fewell doesn’t get himself fired (I’m pretty sure the Giants won’t do it), he’s going to have to come up with something better when the Giants play at Carolina next week. No 0-2 teams have made the playoffs the last few seasons, and I’m assuming an 0-3 start makes playoffs that much less likely. I will point out that the 2007 Giants started 0-2 though. So, as long as the plan is to start 0-2 and then win the Super Bowl, I’m on board.